Well, here we are again. Though we’ve been fortunate in the Birmingham area and southeast the past years to have sufficient rainfall for our landscapes, this summer has been a different story. Warmer than normal temperatures and lack of measurable precipitation spell worsening drought conditions and the need for water conservation. So, what does this mean for you? Well, trees and shrubs that have been planted less than a year are the most susceptible and may be lost due to stress from lack of rain. If your landscape is established with plants that have been well placed and are healthy, drought conditions hopefully won’t have as much of an impact – though if these conditions persist that may change too. A good practice under normal conditions is to water no more than twice a week in any one area. 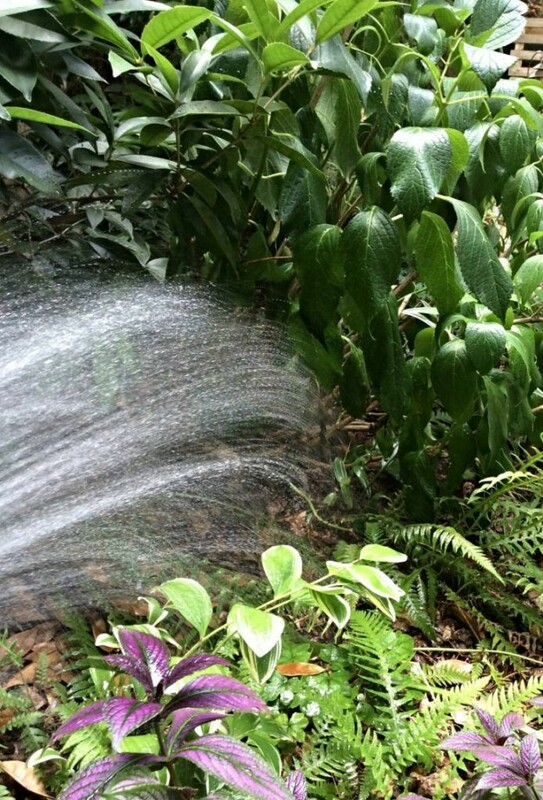 With Birmingham Water Works Stage 3 watering restrictions in place, hand watering is allowed twice a week and irrigation systems allowed once a week for one hour between 8pm and 8am. 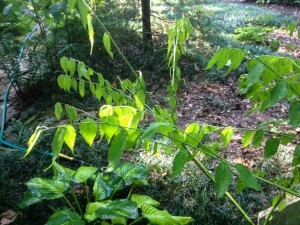 Assess your landscape and prioritize which perennials, shrubs, and trees require the most attention. Add mulch to existing plantings to conserve moisture. Hold off on doing any activity that will push growth (i.e. fertilizing and pruning) until rains come. Deadhead plants with old blooms, especially hydrangeas, and strip leaves from stems if they’re not too large. Set out soaker hoses. Conserve water in your home as well. When water is heating up for showers, collect it in a bucket for watering plants. It’s amazing how much water you can get from this simple step. Don’t let water run when hand washing dishes or brushing teeth, and run the dishwasher and do laundry only when there are full loads. You’ve no doubt seen the symptoms of drought stress on shrubs and trees as leaves wilt, curl, and eventually drop. Evergreens show signs by turning brown at the tips, eventually moving into the center of the plant. Injury to trees can be sudden or may take up to two years to be revealed, so even after this drought ends it will be important to monitor the health of our landscapes. One thing is certain. Even after the rains return, we must be mindful of the way we use water for our landscapes and in our homes, continuing to be good stewards of our environment, now and in the future. 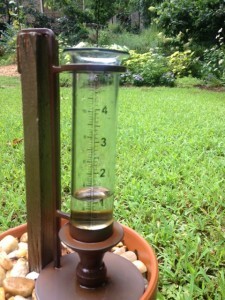 This entry was posted in Watering and tagged birmingham alabama drought, water conservation, watering tips on October 23, 2016 by Kris Blevons.